So you want to learn how to be a stand up comedian? Or you already have experience, but want to take it to the next level? 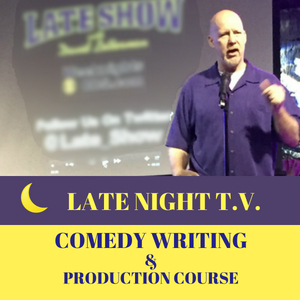 You want to learn to write comedy for sitcoms, late night television or magazines? Or do you just want to learn how to be funny in your everyday life, to get more customers, get more response from your students or your meetings or even your congregation? Well, you’ve come to the right place! 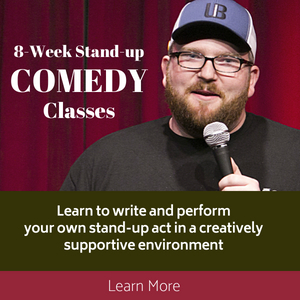 Learning Comedy has never been easier! Now Jerry Corley, professional comedian and writer for Jay Leno and The Tonight Show is going to show in BABY STEPS how to take a blank page and turn it into comedy material that pops. Jerry demonstrates the structure of how jokes are formulated and gets you creating jokes from scratch right away. Jerry Corley’s Stand Up Comedy Clinic is hands down the top comedy school in Los Angeles. 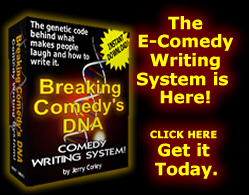 Jerry has an unmatched ability to break down the art of comedy into a science, imparting breakthrough comedy writing techniques and formulas to his classes in a high-energy, performance style, that will not only teach you the comedy writing secrets the pros use, but he’ll keep you laughing too. Contributing Writer to the Tonight Show with Jay Leno. Founder of the Writer’s Forum at the Friar’s Club of Beverly Hills. 22 Years as a professional comedian, appearing on A&E, Comedy Central & HBO. Actor and Screenwriter with two scripts currently in development. Watch the most recent Student Comedy Showcase! Here’s a quick video of the students performing their own stand up comedy act at the world famous Comedy Store. Notice how the students maintain their own personalities… Be advised, there is some adult language. 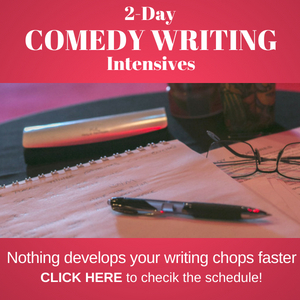 Straightforward intense sessions designed to teach beginners or advanced comedians the tools professional writers use to write killer jokes every day, even when they don’t “feel” funny. 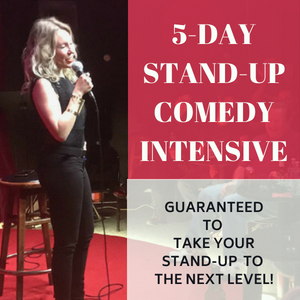 Learn stand up Comedy in 8 Weeks at one of the best comedy classes in Los Angeles… Then perform at the world-famous Comedy Store! Comedy instructor Jerry Corley briefly discusses comedy structure with the audience during a class showcase at the comedy store. 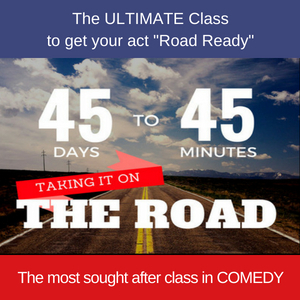 In my experiences on the road, in the studio, in writer’s rooms and in meetings with comedy writing legends, I’ve collected and refined joke techniques, comedy formulas and performance techniques and have laid them out in a way that allows the beginner to understand the science behind the art and for the experienced writer or comedian to add to his or her experience and heighten the response received from an audience. My sole goal is to provide the comedian or comedy writer with all the tools they need to truly command their ability to write jokes and comedy routines on anything they want, whenever they desire.